All they see are tumbleweeds. But it’s not necessarily your fault. You’ve been led down the garden path by big promises and ambitious estimates of what social media can achieve for your business. Unfortunately… the powerful world of social media that has revolutionized the way we live our lives is not solely dedicated to helping grow your business. People aren’t out there waiting with bated breath for your next post just so they can hand over their credit card. With more and more businesses breaking out into the digital sphere, competition to get your target customers attention is fierce. If you give them a reason to ignore you… they will. You see, social media is just a platform. It’s not a magic bullet or masterful new employee that is going to turn your business around overnight. With the right mindset, advice, tools, and testing, it does provide an ecosystem that is custom-built for scaling your message. It’s the fuel to your fire. The playground for your entrepreneurial dreams. It’s a platform to find your tribe, talk to them, understand their wants, needs, and desires, and grow a business of meaning and passion. But if you’re just getting started and your budget and following are small. Or your resources are already stretched thin. How do you reach new customers on social media, at speed, without breaking the bank, or much of a sweat in the process? 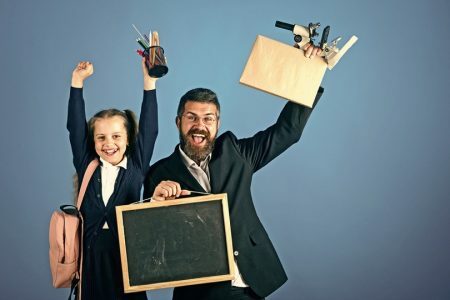 Did you know that there’s a way to take advantage of someone else’s hard work – their years of cultivating a legion of fans who hang on their every word? What if we told you there was a legitimate, mutually beneficial way for you to get in front of someone else’s audience, and fast? 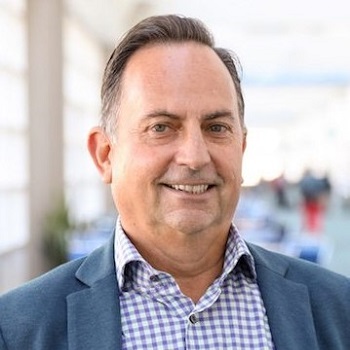 While this may sound like the type of digital marketing strategy that is reserved for the big brands, well-connected wheelers and dealers, or Kardashian-like celebrity stars, it’s not. Influencer marketing is a strategy that orients itself around an influential person, a mouthpiece, or someone with a bit of online fame and an audience in a given industry. 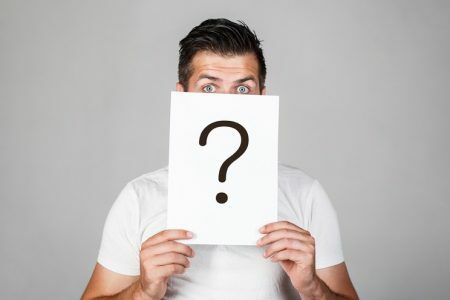 Instead of focusing marketing efforts and strategies around a target audience, a business owner using influencer marketing will focus their energy on a particular person, an influencer. 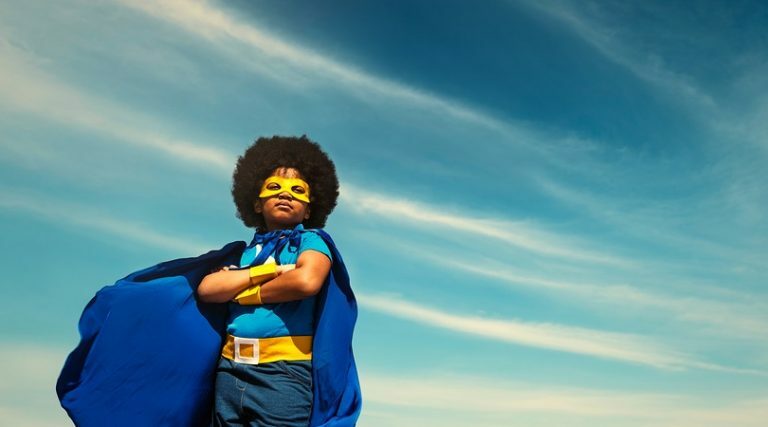 You may be asking, what does an influencer marketing campaign look like? For example, you are the proud small business owner of a company that designs and manufactures a line of eco-friendly, vintage-inspired make-up products. You find an influencer in that domain – a blogger with an Instagram following numbering in the tens of thousands. This person tries new makeup styles and products, and reviews them and models them for their followers. Their followers, in turn, are highly influenced to buy and try these products for themselves. Instead of taking the time to woo many different prospects separately, you instead target this influencer with a marketing strategy. The influencer, if you’ve managed to market your products to them successfully, will tell their followers about it. They influence them to buy. 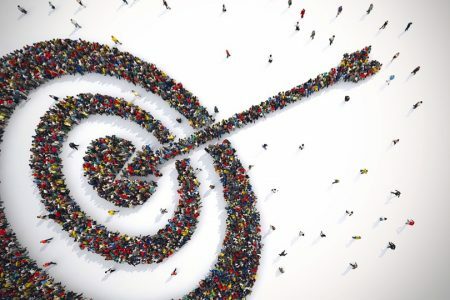 Your target influencer knows the audience much better than you do. They interact with them on a daily basis, and already know what’s going to resonate with the audience and what will turn them off. With influencer marketing, the guesswork is taken out of the marketing strategy. Someone has done the hard work of cultivating a relationship with the audience for you already. Less pivoting, tweaking, and guessing is going to cut down on your marketing overhead. In the internet age, the majority of online consumers, 84% to be exact, trust online reviews just as much as recommendations from friends and family. Furthermore, they want to hear from people that they idolize and respect (influencers). 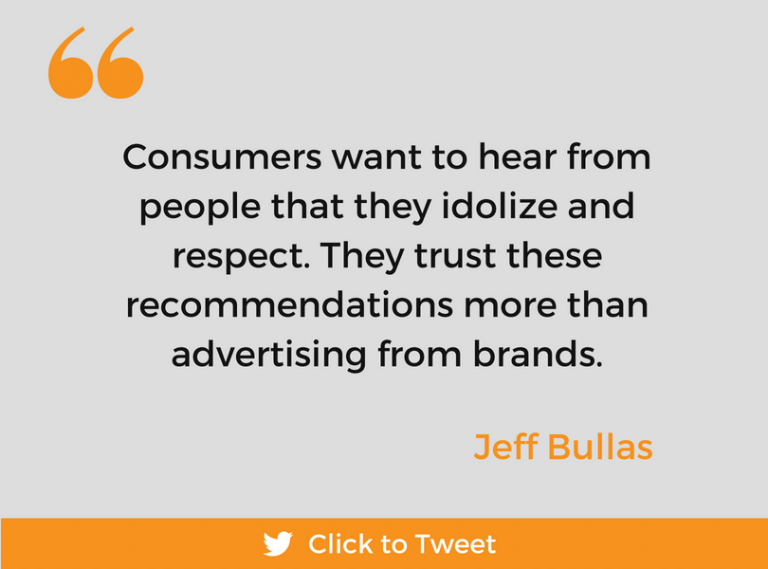 Consumers trust a recommendation from a person more than they believe in advertising from brands or businesses. It’s much easier to get inside the head of one person, than thousands. This is the beauty of influencer marketing; it’s laser-focused and efficient. The more efficient something is, the cheaper it’s going to be. 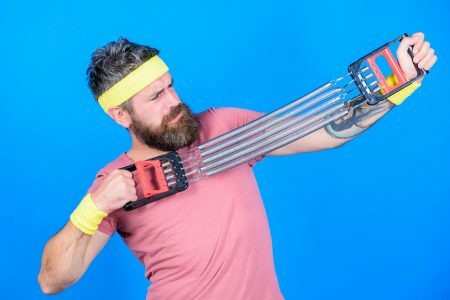 For small businesses and people with a constrained marketing budget, influencer marketing will get you a higher ROI than traditional marketing strategies which cast a wider net. So, just how useful is influencer marketing, and what benefits are you going to see when you employ this strategy? Organic reach on Facebook is way down and continuing to slide for businesses. This means paid reach is getting increasingly more expensive. Your influencers, on the other hand, have had years to build up their following and get them to interact with their content, so their organic reach is much higher. Blog posts, for example, crafted by influencers and shared on social media see on average 11 times the ROI of banner ads. Also, studies show that a group of target customers who are exposed to influencer marketing will buy, on average, 10% more of a brand’s products than those who aren’t exposed to influencer marketing at all. 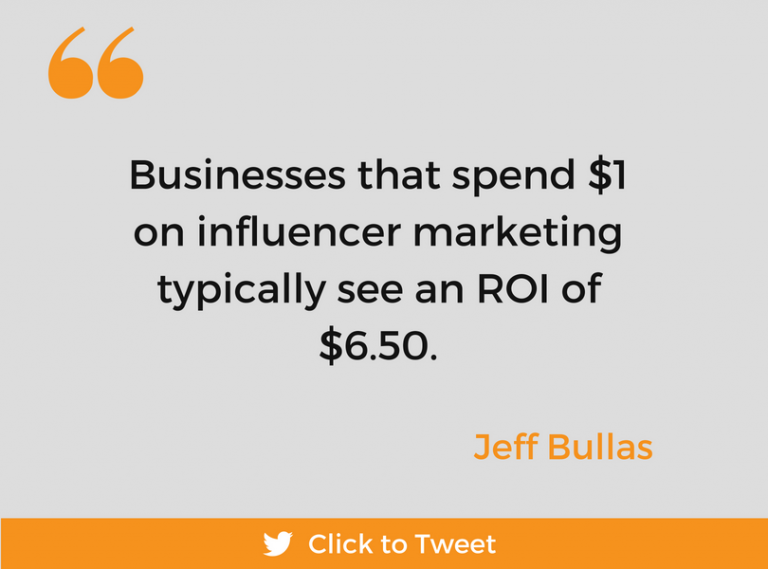 And, businesses that spend $1 on influencer marketing typically see an ROI of $6.50. These influencer marketing stats not enough to convince you? Increased conversions on your website. Growth in your brand awareness. Access to an already cultivated, highly targeted audience of buyers. An expansion of your organic reach on social media, without paying a cent to Facebook. Even better, there are a number of ‘soft’ benefits to influencer marketing. Your influencers are the ones who make the content, so, they’re the ones shouldering the creative costs. Often, the content they make for your brand will be evergreen, meaning you can reuse it again and again. What are the different types of Influencers? Now, let’s get into the different types of influencers, how to find them, and how to work with them to craft a budget-friendly influencer marketing strategy that’s mutually beneficial. There are 3 characteristics to look for when on the hunt for an influencer: relevance, reach, and resonance (trust). Relevance means how aligned the influencer’s platform is with your brand. If you sell only organic products, you might want to look for an influencer who has built fans that are eco-friendly. For Reach, look for how many followers or fans the influencer has. What’s their domain authority? And their ability to reach the target audience? Resonance is how well the audience receives the influencer’s message. Do they have a trusting relationship? 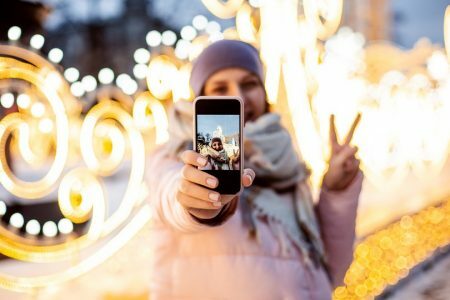 As well as these characteristics, there are also 3 unique types of influencers: micro, top, and local. Micro influencers are people who have a tight-knit following. They are usually everyday consumers or people with a personal story which has struck a chord with the target audience. They sound authentic and genuine. Micro influencers may be bloggers, or small business owners themselves and usually have followings as little as 500 people to as many as 10,000. You may be thinking that the more followers, the better, but that’s not necessarily true. You want influencers who have an engaged, active following, and you want to look for influencers who’ve managed to cultivate massive amounts of trust with their audience. A micro-influencer with 5,000 highly engaged, targeted, and trusting fans will deliver you better outcomes than someone with 10x that following and none of the engagement or relevancy. While they may have a smaller following, it’s a high-quality following. And utilizing the services of a smaller, micro influencer can be more comfortable on your wallet. Looking into forming a business relationship with a micro influencer is a great way to test the waters if you’re new to this type of digital marketing strategy, too. ‘Top’ influencers in a field are the big dogs, the people with a huge following – an army of qualified leads. They’re often celebrities, athletes, or entertainers with millions of followers. These are also the most expensive influencers. If you’re a small business on a budget, you’ll probably want to skip over top influencers to focus your efforts on micro influencers and those that are local to your brand. If you want to drive traffic to an offline store or an event, you might like to look into local influencers. These people can really help your brand or products get in front of qualified leads in your targeted location. What does an influencer actually do? 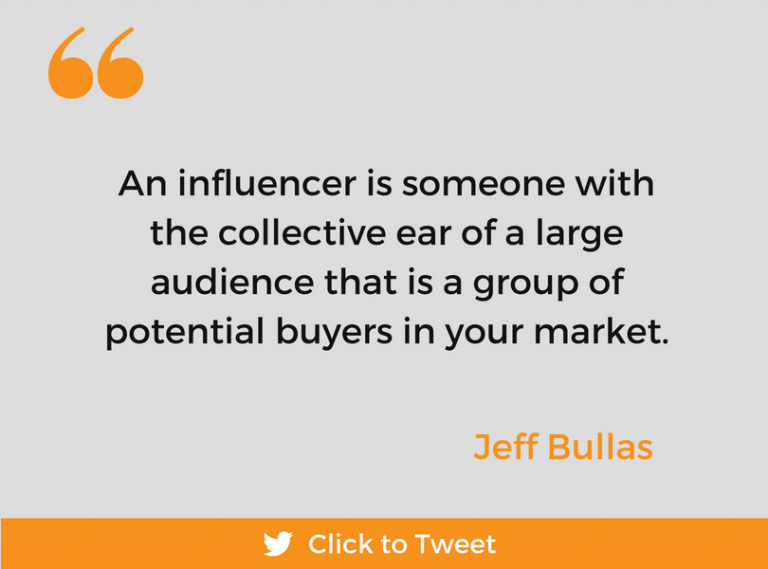 Now, let’s get into the role of your influencer in your digital marketing strategy. The goal you have for your influencer(s) is to drive online or offline purchases for your products, start conversations about your brand to build up awareness, or to establish the credibility of your business in your industry or marketplace. How does this look from the influencer’s point of view? What will they actually do? Write a testimonial to be used in your marketing material. Place your product strategically in images or video posts on their social media networks. Create a review of your product for their blog or YouTube channel. Promote your product to their email list with an exclusive offer. Why would an influencer do this for you? Of course, they will need some sort of compensation such as money, free products, or something else they value… we’ll discuss this in a later section of this article. How do I find and work with influencers? Despite its potential ROI and rising interest, 67.6% of marketers still find it hard to discover relevant influencers for their brands. So, how can you go about finding, approaching, and working with the right influencers? There are 3 critical steps for this process: find, approach, and determine compensation. Finding the right influencer for your digital marketing strategy might seem like a daunting task, but there are tools at your disposal. Of course, good old-fashioned word of mouth can always work here, too. Ask some of your business associates who they’ve used. They might be able to recommend an influencer, or at least start you down the path to finding the right one for your company. Buzzsumo allows you to find the most popular shared content around a keyword or phrase. Even better, it’s all neatly organized in a user-friendly dashboard. 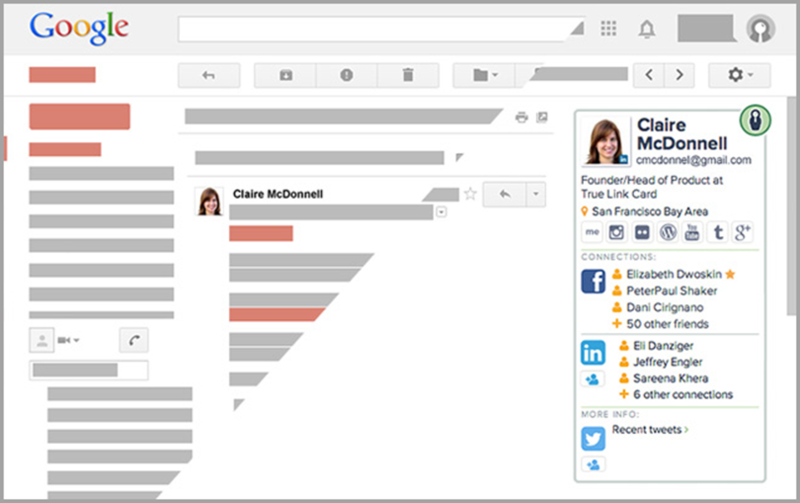 Best of all, Buzzsumo allows you to find out who shared the content (the influencers). This tool is perfect for content marketers, or small businesses which use a lot of content marketing to grow their brand awareness. It can help you find out which content is resonating the most online, and who is doing the sharing. With Klear, you can find influencers already engaging in your network. 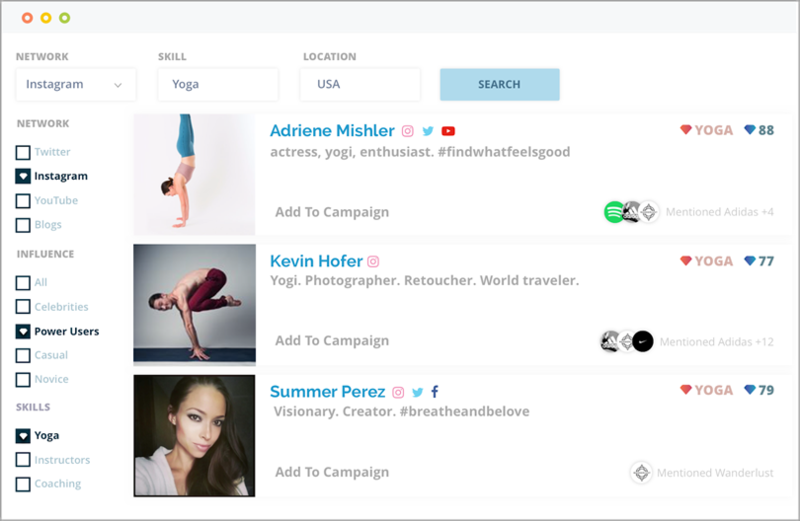 Also, you can filter influencers based on their follower count, and can even see the demographics of their followers. Klear is perfect for filtering out influencers that are too big for your budget, or influencers that might be affordable but don’t have the right target audience for your brand. Discoverl.y allows you to see everyone in your extended network, and you can see mutual friends you have with influencers. Discoverl.y is a Chrome plug-in and helps you find any mutual connections you may have within your circle of contacts. Connecting with influencers is the most difficult part. If you go about this in the wrong way it can derail your strategy before it even gets going. Certainly if you aren’t paying the influencers you want to work with, it’s going to take more than a simple email to get their attention. You need to build a relationship with this person. Introducing them to someone of value in your network. Once you have placed a series of “deposits” like this, you earn the right to ask for something in return. Make sure you don’t ask too early in the relationship and ruin your chances of a positive outcome! When you finally get the opportunity to ask the influencer to promote your brand, give them creative freedom, but adequately define your parameters. If you want three pieces of content on X, Y, and Z, let them know. If you have no idea what you want, they might find it frustrating to work with you, and it will damage your relationship. But remember, these people already know what’s going to work with their audience, so you want to make sure they have sufficient creative freedom so you’re both happy. Now that you’ve found an influencer, successfully approached them, and are launching a campaign with them, what’s the best way to compensate them for their efforts? 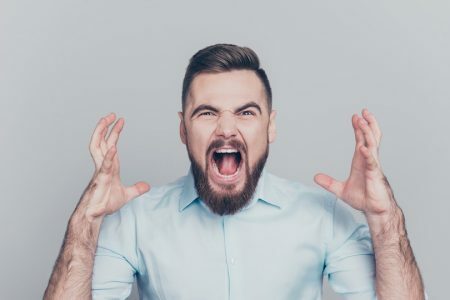 When surveyed, most influencers say the biggest mistake brands make when approaching them for help is only compensating them with free products. If you’re a small business, you might be tentative to pay your influencer, but it’s crucial that you compensate these people for their time, knowledge, and efforts. Remember, you are cultivating a business relationship, so think of the compensation as an investment. 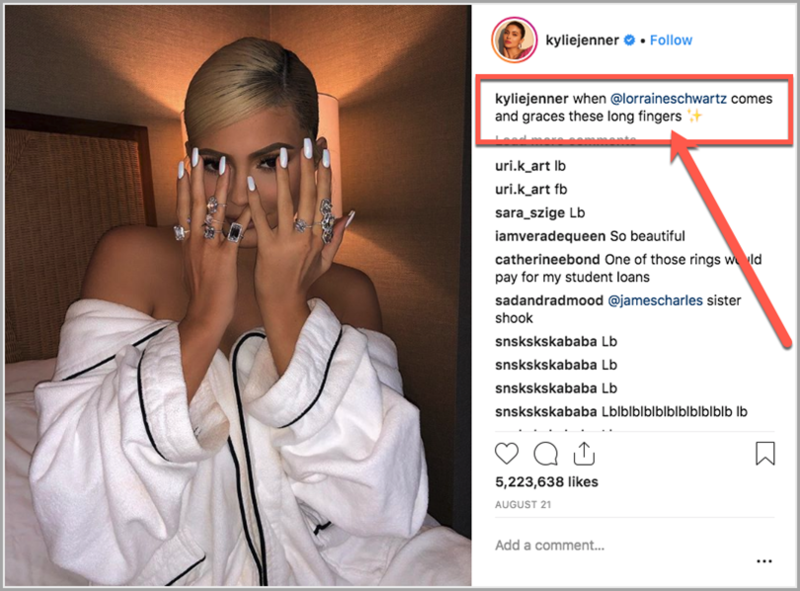 Many factors will determine the cost of an influencer campaign: their following, industry, and the type of posts and number of posts you want. One way to compensate influencers when you have a tight budget is to offer them an above average commission rate per sale, rather than a flat fee. This way, you only pay for a percentage of the sales they generate and they are held accountable for results. Because your rate is above average, this relationship will still be attractive to the influencer. How do I measure influencer marketing? Since you’re making an investment of time, money, and resources, in your influencer marketing campaign, you want to see if it’s working. Here are a few tools you can use to measure analytics. But keep in mind, there are soft benefits which can’t be measured when you launch an influencer marketing campaign, such as brand awareness. Promo codes. Most consumers aren’t ready to buy as soon as they learn or hear about a product. With a promo code, you can keep measuring how successful an influencer’s posts are after the initial launch. Google Analytics. By setting up an ‘Event’ goal in Google Analytics, you can determine which customers and how many customers visited your landing page or online store from an influencer campaign. Finally, let’s look at some influencer marketing campaign examples through the four most popular social media channels for influencer marketing: Instagram, YouTube, Snapchat, and Twitter. Instagram is an excellent platform if you have a product or brand that lends itself to a visual platform, like a clothing line or a lifestyle brand. Lifestyle bloggers can share posts that will quickly go viral. 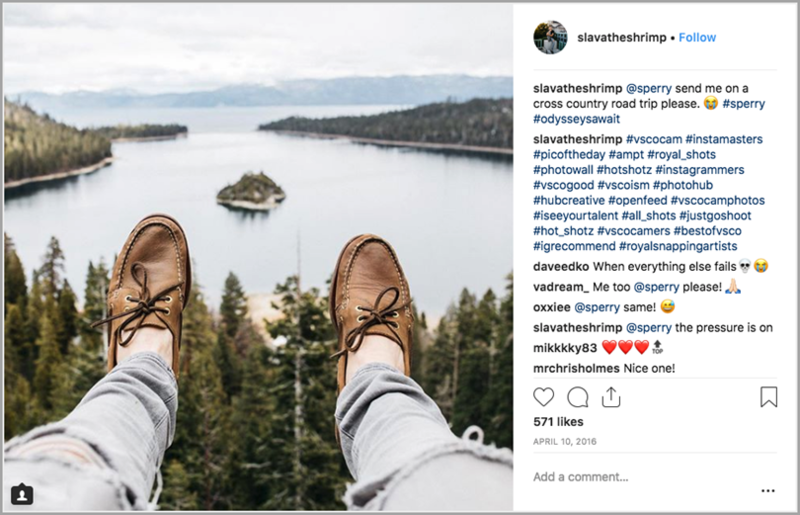 In 2016, the brand Sperry identified micro influencers who were already sharing their products on Instagram, reached out to these people and crafted an integrated, Instagram campaign which quickly grew their brand awareness. Scottish whiskey brands, Lagavulin and Oban, reached out to celebrity influencer Nick Offerman for a YouTube campaign. The video, with its simple, seasonal motif, won an award for Best Influencer Marketing campaign, and the video went viral. Amazon’s Audible launched a YouTube influencer campaign with several YouTube celebrities in 2015. In the first half of the year, the campaign generated over 83 million hits. If your target audience is younger, you’ll want to focus your influencer marketing campaigns on Youtube. Young consumers trust Youtube influencers more than traditional celebrities. DJ Khaled, a relatively unknown musician just a few short years ago, is now a top-influencer on Snapchat. Large brands have reached out to him for ‘Snapchat Takeovers.’ In a takeover, Khaled is given the reigns of the companies’ account, growing their following in a short amount of time. Consider utilizing this same strategy if you find an influencer for your brand on Snapchat. This will give someone who is an expert at the platform, creative freedom to help grow your brand awareness and get you a more significant following on Snapchat. If you’re going to use an influencer on Twitter, identify or create a branded hashtag for your campaign. 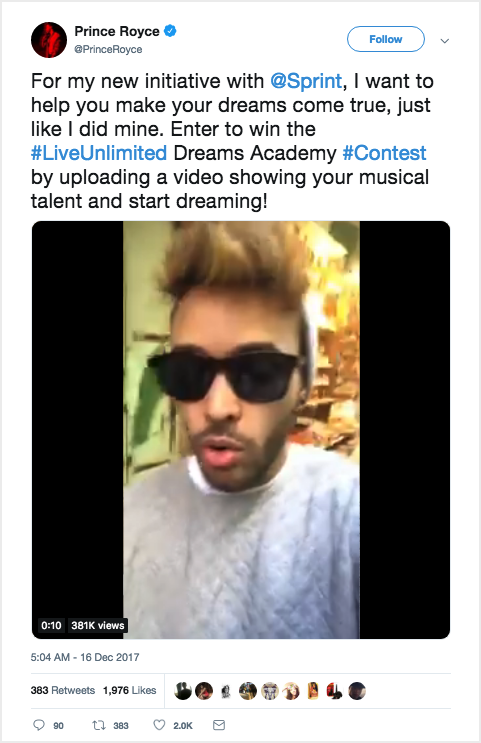 For example, Sprint uses the hashtag #LiveUnlimited to share their content with influencers who already embody the ethos of their #LiveUnlimited marketing campaign. Influencer marketing has grown exponentially in recent years. The old ways of marketing, although still useful, are much harder to gain substantial traction with. But the rules of the game are always changing. As recently as 2015 Facebook had much higher organic reach. These social media giants frequently change their algorithms, and what’s working for your brand today may not work anymore tomorrow. It can be an absolute headache to keep up with the changing digital marketing landscape. An influencer, however, already knows what’s working, and they’re more likely than you to have the means and time to keep up with any new developments. If you want to grow your brand awareness, drive traffic to your website, and increase your conversions with influencer marketing, use the tips in this post to get started.